The American Association of Law Libraries (AALL) offers opportunities for individual to donate in support of the profession of law librarianship by contributing to a grant, scholarship, or other fund. Ensure your profession remains strong and vital by giving and make a contribution today. Funded through donations from AALL members, this scholarship is awarded annually to individuals seeking a degree from an accredited library or law school, and who intend to have a career in legal information, or to a library school graduate seeking an advanced degree in a related field. The Grants Program financially assists librarians who hold promise of future involvement in the law library profession. Grants cover registration costs at either the Annual Meeting or workshops. 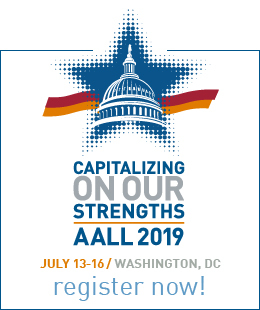 Established in memory of AALL member, Alan Holoch, the grant assists individuals with expenses related to attending the AALL Annual Meeting & Conference. The Schaffer grant provides financial assistance, to foreign librarians, with expenses related to attending the AALL Annual Meeting & Conference. The grant honors the memory of AALL member Marla Schwartz, and assists individuals with expenses related to attending the AALL Annual Meeting & Conference, or other Association-sponsored conferences. Established to help sustain programs and initiatives in support of the AALL strategic plan. Established to help support the AALL liaisons to attend their respective official meetings which ensures a law librarian presence on important national and international cataloging standards setting committees. 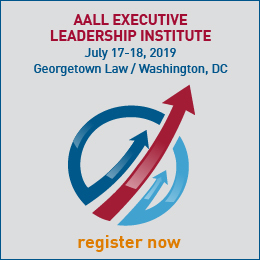 Established to advance the mission of the Association, this fund supports AALL's advocacy efforts related to access to government information, balance in copyright, government transparency, and access to justice.